My daycare children love to learn new songs and fingerplays as we prepare for a celebration. Halloween is approaching and the children are excited about the event. We have been reading stories about halloween and singing songs as we prepare for the big day. 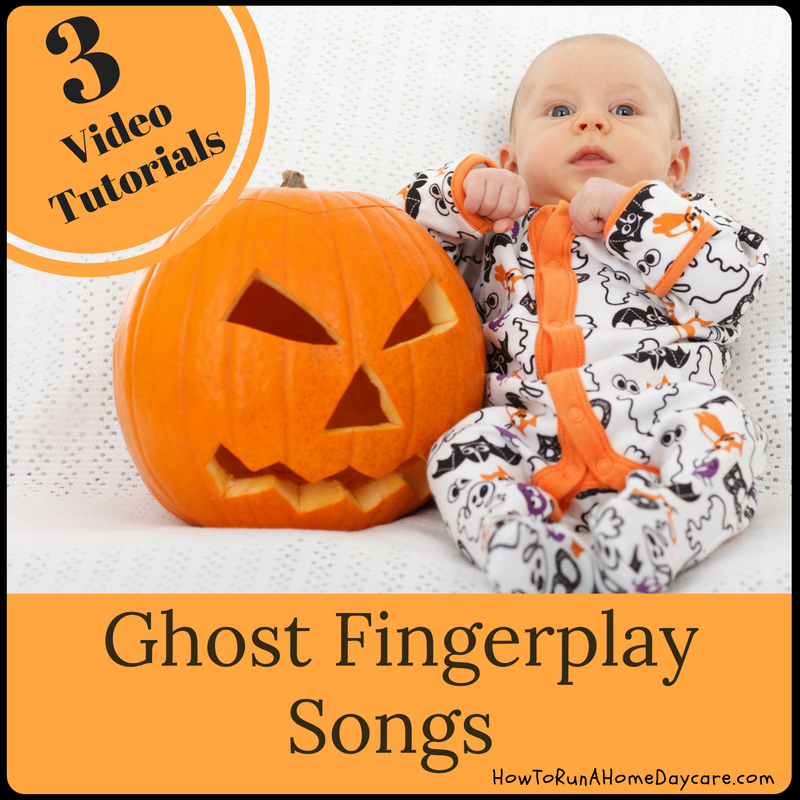 Here are three easy ghost fingerplay songs for you to do at circle time in your home daycare. You can make your own finger puppets, make felt board figures or simply cut out some ghost shapes from paper to go with the poems. Enjoy! There once was a ghost who lived in a cave. She scared all the people, and the animals away. She said, “Boo” to the fox, she said,”Boo” to the bee. She said, “Boo” to the bear, she said, “Boo” to me! Well, she scared that fox, and she scared that bee. She scared that bear, but she didn’t scare ME! Have a wonderful Halloween with your daycare children!